Thank you for supporting the campaign to bring Merely Players starring Barry Morse to DVD! of the famed Shaw Festival of Canada. "A THEATRE MAN FOR ALL SEASONS." "Space: 1999" returning to broadcast television on Comet TV! Check your local listings - also available on Roku and Apple TV ~ In 2018 celebrating 100 years of actor, director, and author Barry Morse! 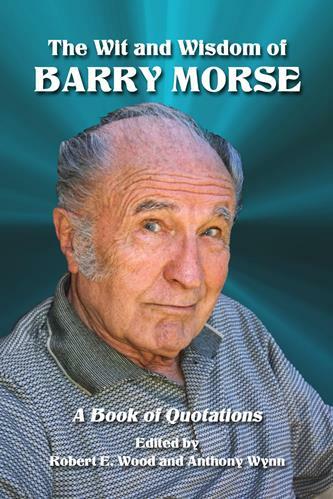 The latest Barry Morse book is available worldwide! Visit the Barry Morse Bookstore! The Barry Morse CafePress Store -T-Shirts, Totes, Mugs & More! articles, and info on The Barry Morse Memorial Bench Project. books, this includes the establishment of the "Barry Morse Collection"
in London, England. Additional recognition efforts are also underway. 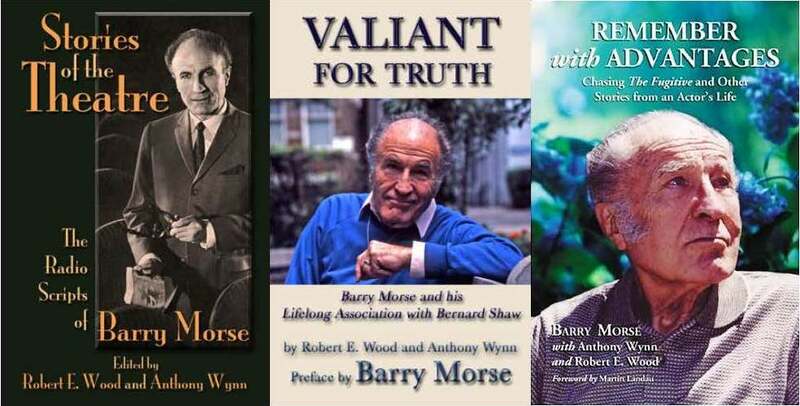 who purchase Barry Morse Books and Special Gift Items. Your continued interest in the Barry Morse site is greatly appreciated.